An EBF Maiden Stakes over 6f on good going. Ten two-year-olds take part but the betting details this is very much a two-horse race unless there is something of a surprise. William Haggas fields Prazeres who finished third on debut at Newmarket just over two lengths behind Mutawakked who is held in some rHorseegard by Brian Meehan and denied Deningy in the process. 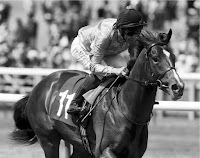 Haggas often sends his better juveniles to race at Headquarters on their racecourse bow and even though a 20-1 shot that day I'm sure connections would have been hopeful of a bold show. This bay colt is a son of Sepoy owned and bred by Saleh Al Homaizi & Imad Al Sagar. That valuable experience will serve this juvenile well against his major opponent. Hugo Palmer has an impressive string of two-year-olds and he knows where they sit in the pecking order. I can detail that Koropick is held in high regard by the stable being entered for both the Gimcrack Stakes Group 2 & Middle Park Stakes Group 1. This bay colt is a son of Kodiac out of an unraced Fayruz mare. Racing in the familiar silks of V I Araci this 40,000G breeze-up purchase could well prove to be a calculated acquisition. Koropick has the ability but can he beat a proven horse in his first start? Conclusion: Unless something unusual happens this looks a match. Proven form and experience will make Prazeres a difficult horse to beat but facing a potentially smart debutante doesn't look value at even money. 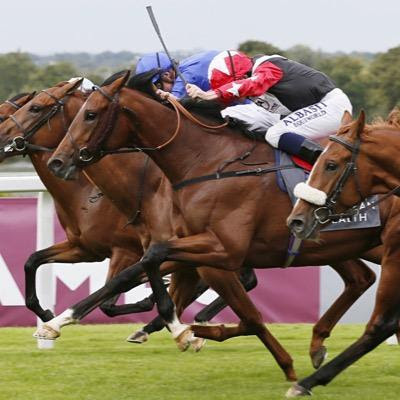 It may well prove the case it is a great bet and traders will be focusing on Koropick and the slightly sign of a tardy start will have them loading on the favourite. If Palmer's charge drifted to an each-way price that would be a good bet but it looks very unlikely unless the favourite is backed to the exclusion of all. It is a fascinating race but i will be taking a watching brief.